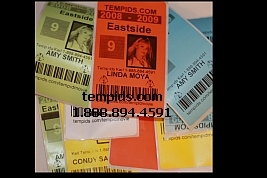 Over the years we have provided free technical support on id software and hardware for temporary id printers and hard card id plastic printers. We have even provided this free support to friends of customers of ours. Sometimes the issue is cannot be addressed over the phone and at that time we describe the options available whether the printer needs to go in for repair, a cleaning, or the like. One of the other benefits of purchasing your hardware from us is that we pay for shipping the item back to the manufacturer and back to you when it is under warranty. This means there is no additional out of pocket expense involved with shipping.